Nyerereite: Mineral information, data and localities. 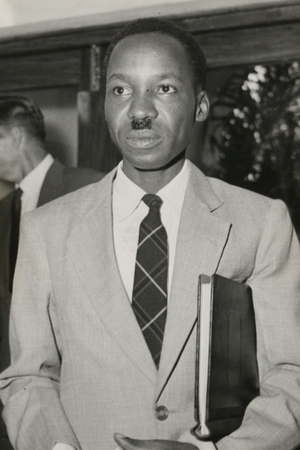 Named by C. Milton in 1968 in honor of Julius Kambarage Nyerere (29 October 1964, Butiama, Tanganyika – 5 November 1985, London, United Kingdom), president of Tanganyika and then Tanzania 1964-1985. The original description contained only a name and composition. A later proposed name of natrofairchildite (in another paper that included data) was denied and nyerereite was given priority. 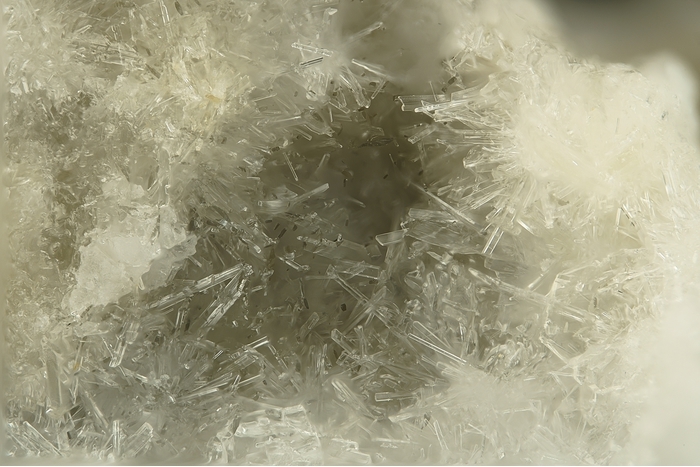 Platy crystals to 0.5 mm. Incommensurately modulated twin structure (Bolotina et al., 2017): Cmcm(α00)00s with modulation vector q = 0.383a*, with above unit-cell parameters. Originally assumed to have Cmc21. Gregoryite 5 photos of Nyerereite associated with Gregoryite on mindat.org. 11.1.15 Baylissite K2Mg(CO3)2 · 4H2O Mon. Dawson, J.B. (1962) Sodium carbonate lavas from Oldoinyo Lengai, Tanganyika. Nature: 195: 1075–1076. Fleischer, M., Chao, G.Y., Kato, A. (1975) New mineral names. American Mineralogist: 60: 485-489. McKie, D., Frankis, E.J. (1977) Nyerereite: A new volcanic carbonate mineral from Oldoinyo Lengai, Tanzania. Zeitschrift für Kristallographie: 145: 73-95. Fleischer, M., Cabri, L.J. (1978) New mineral names. American Mineralogist: 63: 598-600. Peterson, T.D. (1990) Petrology and genesis of natrocarbonatite. Contributions to Mineralogy and Petrology: 105: 143-155. Shatskiy, A., Gavryushkin, P.N., Litasov, K.D., Koroleva, O.N., Kupriyanov, I.N., Borzdov, Y.M., Sharygin, I.S., Funakoshi, K., Palyanov, Y.N., Ohtani, E. (2015) Na-Ca carbonates synthesized under upper-mantle conditions: Raman spectroscopic and X-ray diffraction studies. European Journal of Mineralogy: 27: 175-184. N. B. Bolotina, P. N. Gavryushkin, A. V. Korsakov, S. V. Rashchenko, Y. V. Seryotkin, A. V. Golovin, B. N. Moine, A. N. Zaitsev and K. D. Litasov (2017): Incommensurately modulated twin structure of nyerereite Na1.64K0.36Ca(CO3)2. Acta Crystallogr. B73, 276-284. Chen, W., Kamenetsky, V. S., & Simonetti, A. (2013). Evidence for the alkaline nature of parental carbonatite melts at Oka complex in Canada. Nature communications, 4, ncomms3687. A. N. Zaitsev, T. Wenzel, T. Vennemann and G. Markl (2013): Tinderet volcano, Kenya: an altered natrocarbonatite locality? Mineralogical Magazine 77, 213-226. Sharygin, I. S., Golovin, A. V., Korsakov, A. V., & Pokhilenko, N. P. (2013). Eitelite in sheared peridotite xenoliths from Udachnaya-East kimberlite pipe (Russia)–a new locality and host rock type. European Journal of Mineralogy, 25(5), 825-834.; Sharygin, V. V., Kamenetsky, V. S., Kamenetskaya, M. B., Seretkin, Y. V., & Pokhilenko, N. P. (2007, August). Rasvumite from the Udachnaya-East Pipe: The first finding in kimberlites. In Doklady Earth Sciences (Vol. 415, No. 2, pp. 929-934). Nauka/Interperiodica. ; Sharygin, V. V., Kamenetsky, V. S., & Kamenetsky, M. B. (2008). Potassium sulfides in kimberlite-hosted chloride–“nyerereite” and chloride clasts of Udachnaya-East pipe, Yakutia, Russia. The Canadian Mineralogist, 46(4), 1079-1095. Zaitsev A.N., Wenzel T., Markl G., Spratt J., Petrov S.V., Williams, C.T. 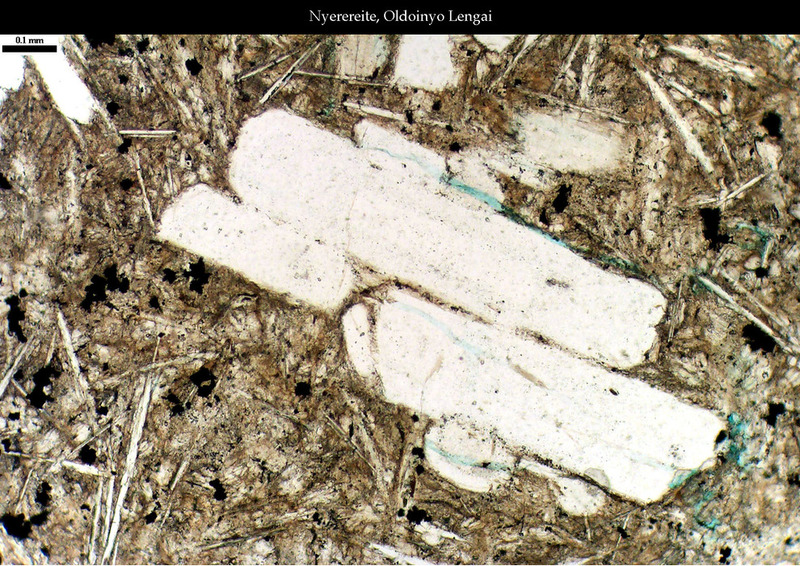 (2010) Mineralogy and geochemistry of nephelinites and phonolites from the Sadiman volcano, northern Tanzania. Abstracts of XXVII International conference School «Geochemistry of Alkaline rocks». – Moscow-Koktebel’. pp. 240 pp.